Incorporate the latest trends in your wardrobe with this top from the house of 109F. It comes in a solid pattern that makes it stand out in terms of look. 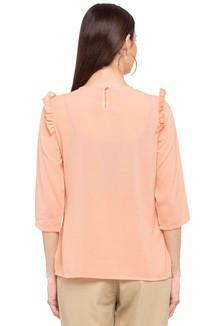 Besides, it comes with a round neck which is further accentuated by the three quarter sleeves. The Premium quality fabric make further ensures comfort all day long.